Almost everyone who has tried some graphic designing and knows its softwares must have come across Corel Draw. It is an amazing alternative to Adobe Illustrator. The only problem is that it is a bit expensive. It lets you do everything that Adobe Illustrator does for example, experimenting with colours, compositions and brush strokes. It lets you create the full studio effect. It is for Windows only. Want amazing vector effects? Then try Inkscape. It has been designed on a cross-vector platform that lets you see the effects applied in real time. Its features include arbitrary transformations, opacity, and gradients. 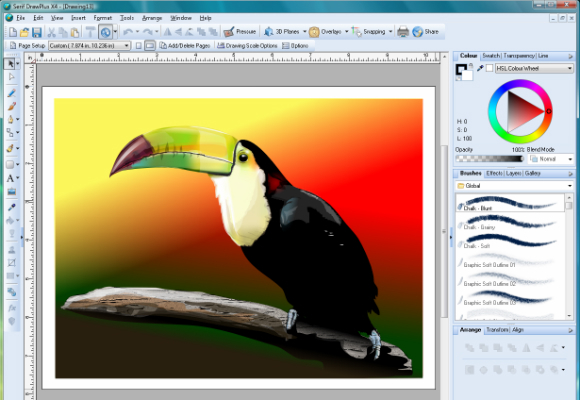 It is a really good alternative to both Corel draw and Adobe Illustrator. It is free. It works on Windows and Mac. Serif DrawPlus is like a mature commercial editing software. 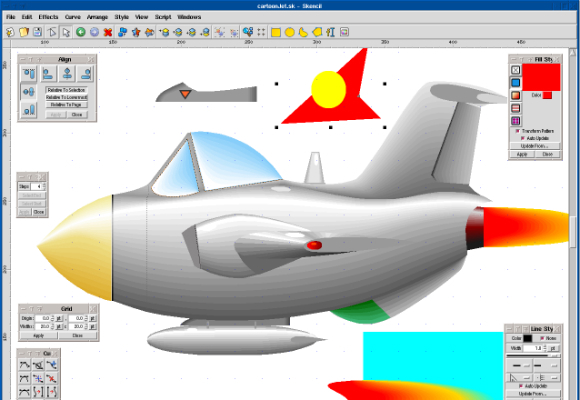 It has tools like quick shapes, Curve editing, and curve smoothing etc. It also provides you with various templates and other resources to pick from. It is a free software and it works on Windows only. It is the free version of the paid Xara Xtreme program. It is exclusively for Linux system and is open source version. The paid version is not at all as expensive as the Adobe Illustrator. It is good in the Vector drawing applications. Even this free version is full of powerful graphics and floating dialogs, palettes and menus. It is for Windows only. 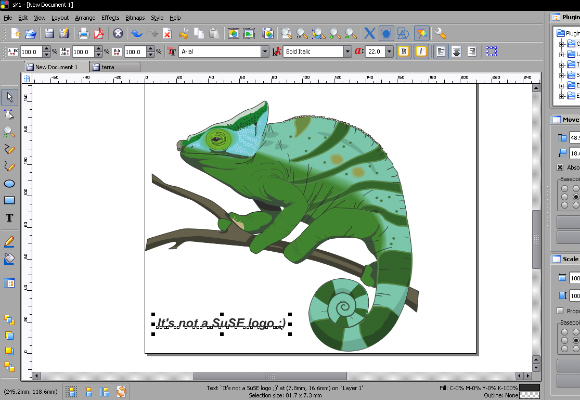 Skencil is an open source application for the Linux system. It is also free! It lets you do illustrations, draw diagrams and import files from Adobe. It is more like a supplementary program. 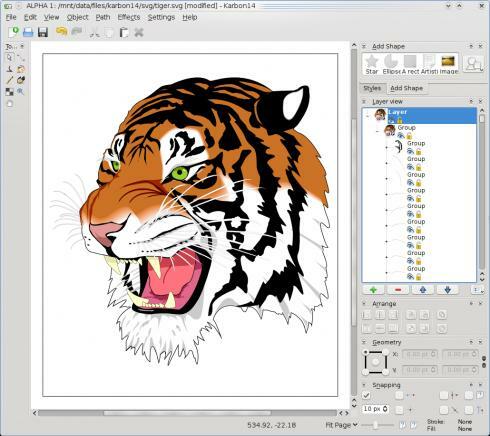 It is a vector program and it works good in Windows applications. Its features include the ability to draw various text and shapes along a curved pathway. It lets you merge shapes with the Boolean operations and also convert text Bezier curves and color gradients. It provides you various styles and attributes in the same frame to work with. The drag and drop feature is simply remarkable as it lets you move things around on the page making things quite easy for you. It is for Windows only. It is free and a Linux application. sK1 lets you do professional style publishing; like CMYK color, ICC color management and even press ready output for PDF! It is only for Linux for the present time but very soon it will be compatible with both Windows and Mac systems. It is a free programme. It lets you retouch pictures and can be used as a paint program but does not have many vectors which graphic designers are used to. Its interface is quite like Adobe Photoshop. It is a vector based programme that works on the intent of creativity. It is mainly a sketching program and not for finished or refined projects. Its interface is very fun and handy. It is a great programme for brainstorming. It works on Windows, Mac and Linux. It is a vestor based programme. It is ideal for beginners as it is very easy to use. It lets you do drawing, finger painting, image manipulation, icon editing. But it also boasts all the important features, which makes it a very functional program. The best part is that it is free! 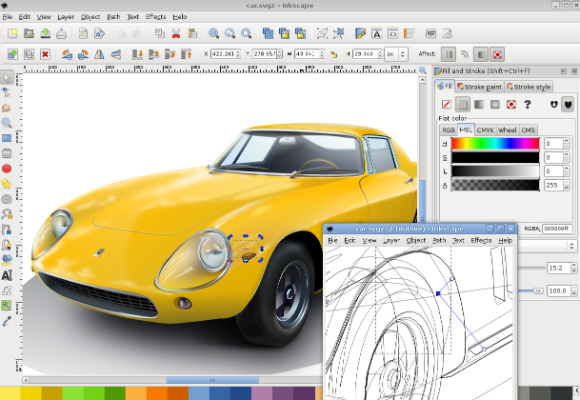 Pencil is an animation/drawing software for MacX, Windows, and Linux. 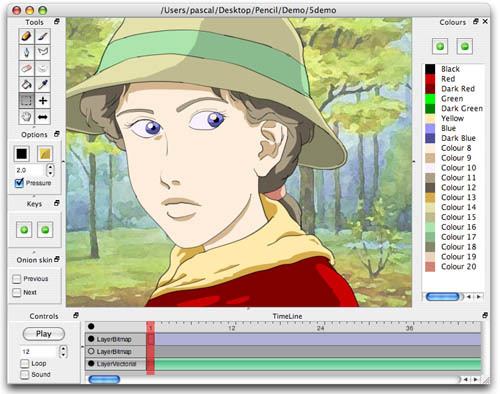 It lets you create traditional hand-drawn animation (cartoon) using both bitmap and vector graphics. Pencil is free and open source. Corel Draw isn’t in the same league! I don’t think Freehand is on your list either! Creative Suite is a Graphic Designers tool box! Its compatible with every other designer! Xara Extreme for windows only? thanks for correction, Skencil is mainly for Linux system, we corrected it. Great review! You didn’t forgot GNU/Linux! If this is a list of Illustrator alternatives, why are Gimp and Avidemux listed? I wouldn’t use AI to edit photos or video.